When Tundra Trading recently sent us a box of their Finnish sweets to try, I was thrilled to try the licorice, but somewhat hesitant to experience the variety of xylitol-based confections included (given Brian’s experience with xylitol). Well, as it turns out, my expectations were turned completely upside down. Of the assortment, I tried first the red Tire Tread, having previously mentioned the black licorice version. The red is similar to the black, though a bit less sticky. The flavor is slightly fruity, but doesn’t bear any specific flavor reference. Overall, I enjoyed the red quite a bit and would definitely recommend it to fans of red licorice. 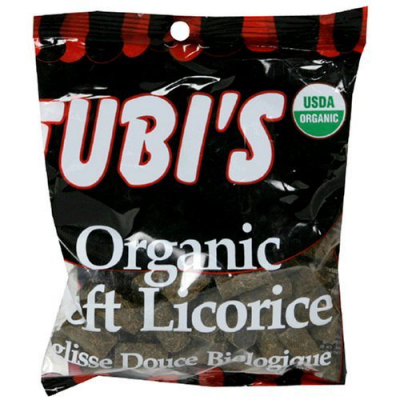 Next up were two types of Tubi’s Organic Soft Licorice – one long rope and a bag of small chews. In every way except length, the two varieties were identical. Unfortunately, that means that I didn’t really enjoy either of them. I found the Tubi’s to be somewhat grainy and the texture to be unpleasant. The flavor was only OK, and overall I was less than impressed. To be honest, I was shocked. I expected some nasty after-taste ridden monstrosity, but discovered instead that all of the gum and mints were downright good. Cinnamon - I’m not a huge cinnamon lover, but this had a decent cinnamon flavor without having that extra bite that sometimes turns me off. The only issue I had with the gum was that neither the flavor nor the bulk of the piece stuck around for long. 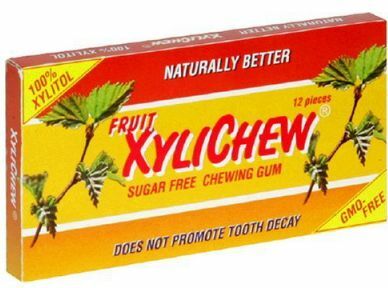 I’m not a huge gum chewer, but I recall having the same problem with other sugar-free gum in the past. Peppermint - very minty, I think they would definitely appeal to those who enjoy peppermint, but the texture was a bit different than the other two flavors. Overall, I really liked these mints, though I would hesitate to call either the lemon or the raspberry flavor a mint. Instead, it’s more like a small, delicious hard candy. The xylitol candies were definitely a surprise for me. I completely expected to find an unnatural flavor or a disgusting aftertaste, but instead found some really good flavors. I may well end up ordering some more once my samples run out! I enjoyed this article; it was well thought out and nicely written. 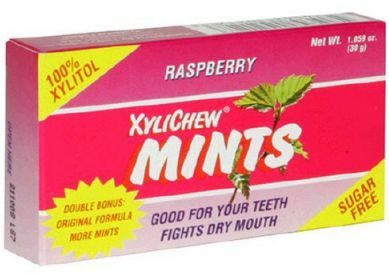 I appreciated the honesty about the pre-concieved notion of how bad the xylitol products might be and the surprise that they were actually quite good, as well as the description of the grainy texture of the licorice.